I'm here with the last of my Black and White sewing, and over on the Oliver + S blog rounding up everyone else's monochrome projects too. Go take a look, there was some great colour-less sewing! It's the first time I've made the blouse and since the pattern stops at size 5, which is the size I made, I was pulling the pattern out for a now or never sewing experience! It's hard to see the details of the blouse in my version using all the same fabric, but it has a lovely curved yoke and then full skirt portion to the top. It's a great little top and even thought this is the biggest size it will fit next summer and then probably the one after that if I just add length to this same size 5 top. 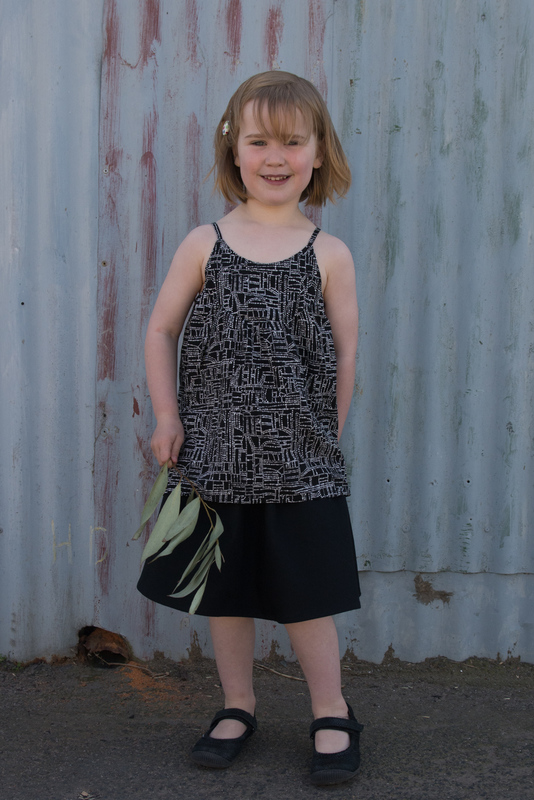 The skirt, on the other hand, has just been re-released in a greatly expanded size range. It looks simple but it's a really sweet skirt pattern. Just the right amount of twirl, a neat casing and lining and the option for a little side ribbon tie. 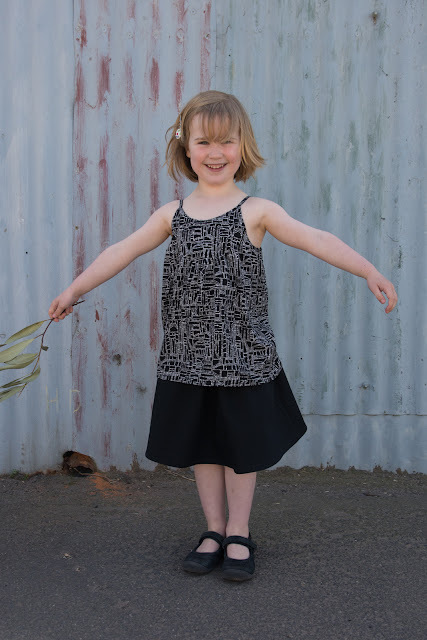 Add in that it's super quick to sew and I'm saying it's a winner! I lined the skirt in an off white voile as I was trying to avoid using any coloured fabric for the sake of the monochrome challenge. 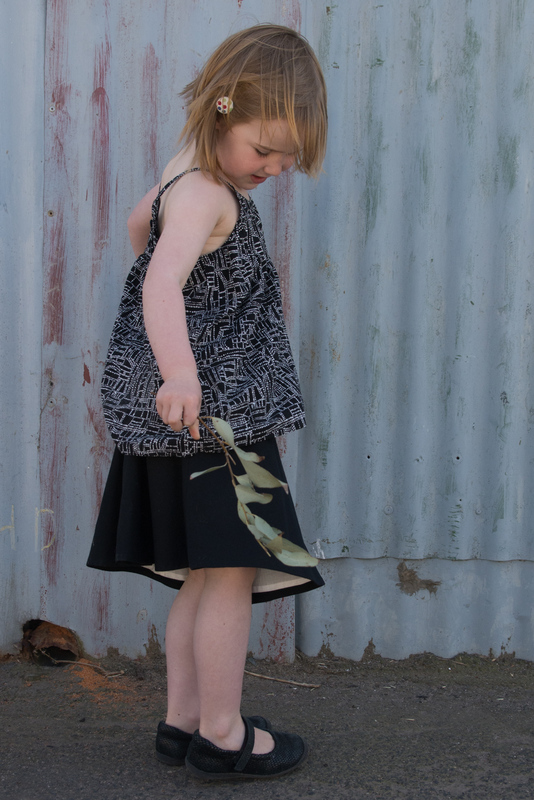 I have lots of half and one metre cuts of cottons that will be perfect for more of these skirts. The ribbon has already been accidentally pulled out, so I'll need to re-thread it and then secure it at the opposite side seam. I suspect the instructions suggest you do just that. Clever, huh. So there we are. The monchrome challenge was fun and I jumped in up to my neck. Three dresses, two skirts and two blouses and I was ready for some colour. 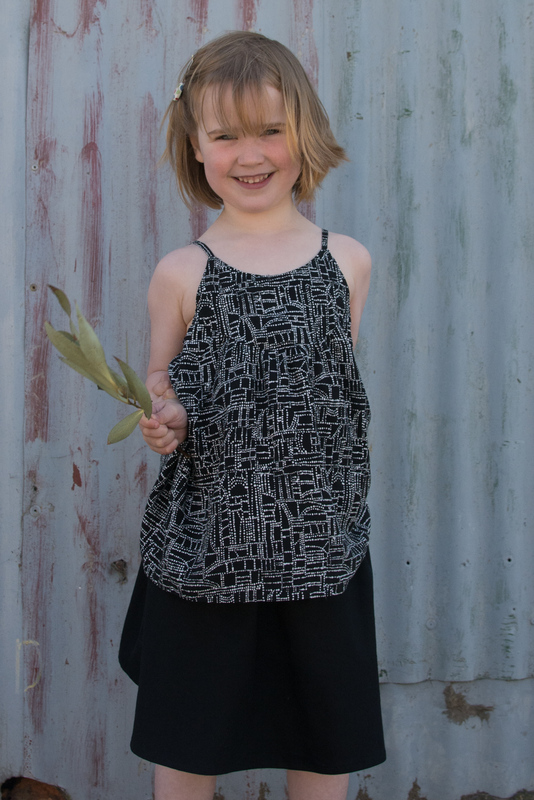 Back soon with a Kid's Clothes Week update - I'm sewing like crazy. How are you travelling? Cheers Elizabeth. 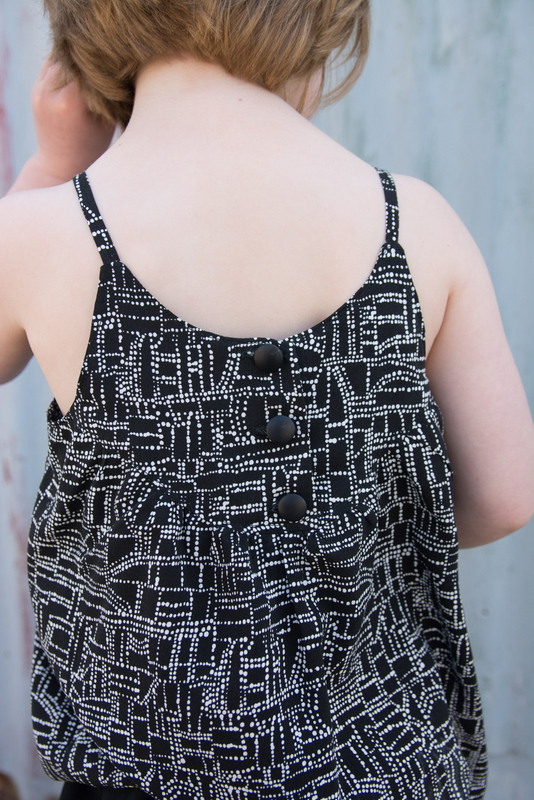 It's the kind of detail I expect in an Oliver + S pattern, but sometimes I forget to reference the instructions even when I feel like I know what I'm doing. Cheers Rachel. The kids made some videos that I'll edit and email. Great top and skirt, Miss A is getting quite a wardrobe. Thanks Sharon. She's grown so much I need to clear more than half her wardrobe out!